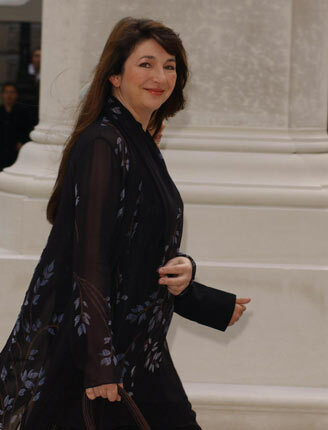 Kate Bush has revealed that she has plans to play live again. The singer, who releases new album ‘Director’s Cut’ next month, said that she wanted to tour again before she got too old. Bush, 52, has not played live since her only tour over 30 years ago. She told Mojo: "I'd like to think I'll do some shows before I get too ancient - turn up with my Zimmer frame. "I don't give up hope I'll do some live work but I don't quite know how it would fit with my life. Let's just see, shall we?" ‘Director's Cut’ is released on May 16 and sees Bush re-visit some of her most famous songs from the albums 'The Sensual World' and 'The Red Shoes'. The image used on the cover to Bush's 1982 album 'The Dreaming.' The image depicts Bush re-enacting a scene from the lyrics to album track 'Houdini', in it the singer plays Houdini's wife and is holding a key in her mouth which she is about to pass to her husband. 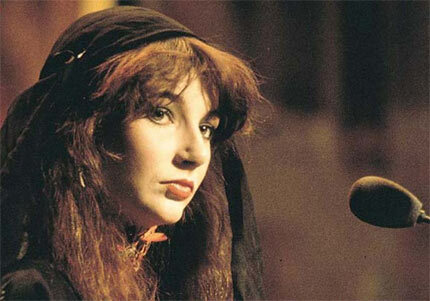 A still from the promo video to her defining 1978 song 'Wuthering Heights.' To this day it's still her only number one UK single. 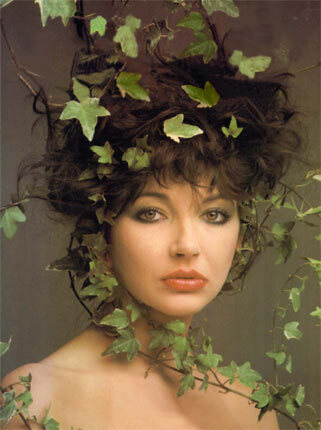 The iconic image of Kate Bush showing a pastoral side with ivy draped over her. The sleeve to Kate's debut album 'The Kick Inside.' It was produced by Pink Floyd's David Gilmour who discovered Bush in 1973. 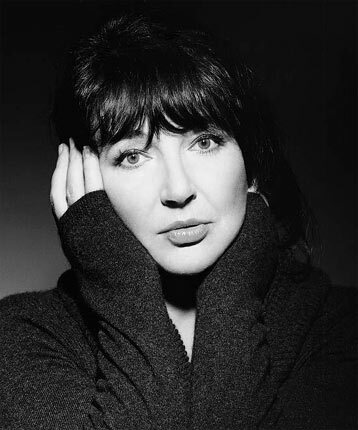 A fresh faced Kate Bush in her teens. 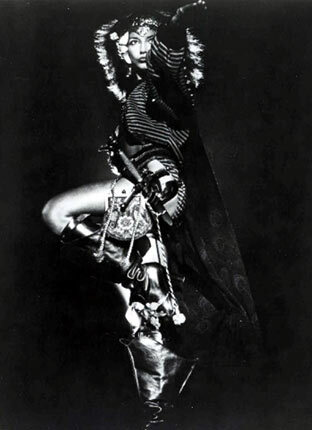 One of a number of iconic images of the singer. 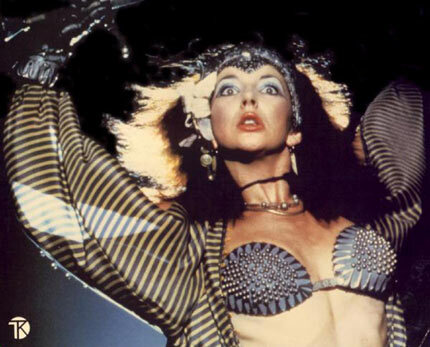 Kate Bush performing live on Top of the Pops. 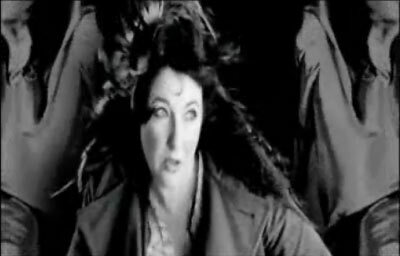 A still from the video to 2005 single 'King of the Mountain' which featured Kate flying through the air with Elvis' clothes. 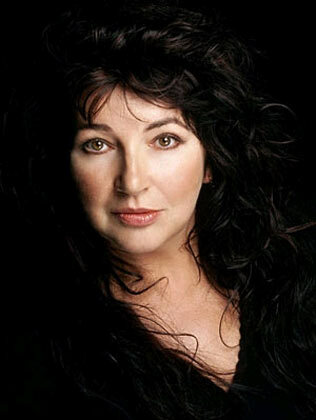 Peaking at number four in the UK singles chart, it was the singer's third highest chart entry ever. 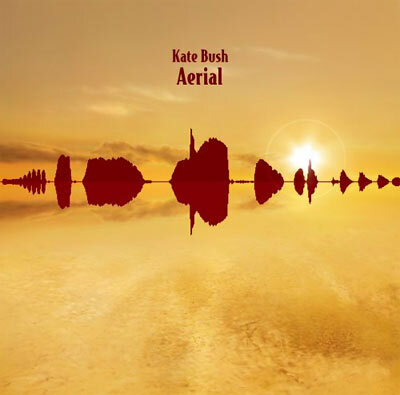 Released in November 2005, 'Aerial' was Bush's first studio album in 12 years and received glowing reviews from critics. At 80 minutes long and split over two discs, it was nothing short of epic. The brilliant cover to Bush's 1980 single 'Army Dreamers.' 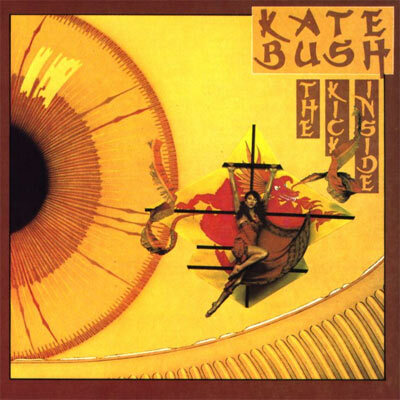 It was originally written and recorded in 1973, just a few weeks after Kate's 15th birthday. 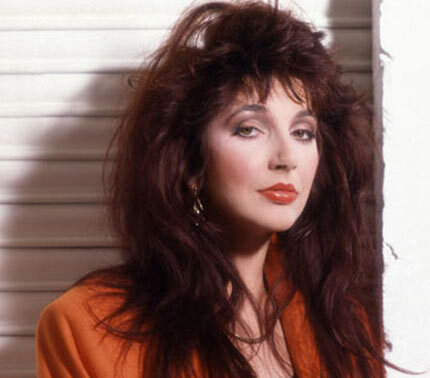 Another still from the famous 'Wuthering Heights' video. 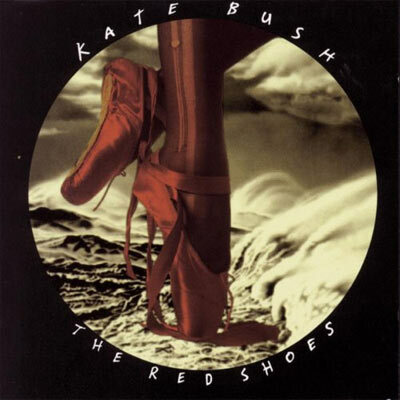 The cover to Kate Bush's 1993 album 'The Red Shoes.' It was her final release before her 12-year hiatus.